I have a great love of film, which is probably something that I don’t express enough on my blog. At college I did Media and Film Studies and I wrote my dissertation on film ratings comparing Baise Moi, Irreversible and Ken Park, the latter of which was written by one of my favourite directors, Larry Clark. One of the first things that really grabbed my attention at college about film was when we started looking at the mise en scene of films. I guess film noir is one of the most notorious genres for learning about these sorts of technical aspect of film, and with that comes the iconic references to Femme Fatales. If you don’t get know the terminology, a femme fatale is a female character that is often portrayed as beautiful and dangerous. They would always have classic 1930s waves, have a killer body and more often than not be smoking a cocktail cigarette or a have a cigarette holder to add extra glamour. My love for watching these sorts of film then extended to me sharing ‘Sin City’ with my granddad (he was not as appreciative as me). Sin City for me combined two of my great passions – comic books/graphic novels and film noir and created a piece of art, the contrast of the dark scenery and the dangerous, stunning and strong female characters, with just the odd dash of bold colour, a red lip here, bold blonde hair there. I guess the mixing of these two memories led to me adding a Femme Fatale twist to my #MikadoBy selfie as it is a huge part of my personality. 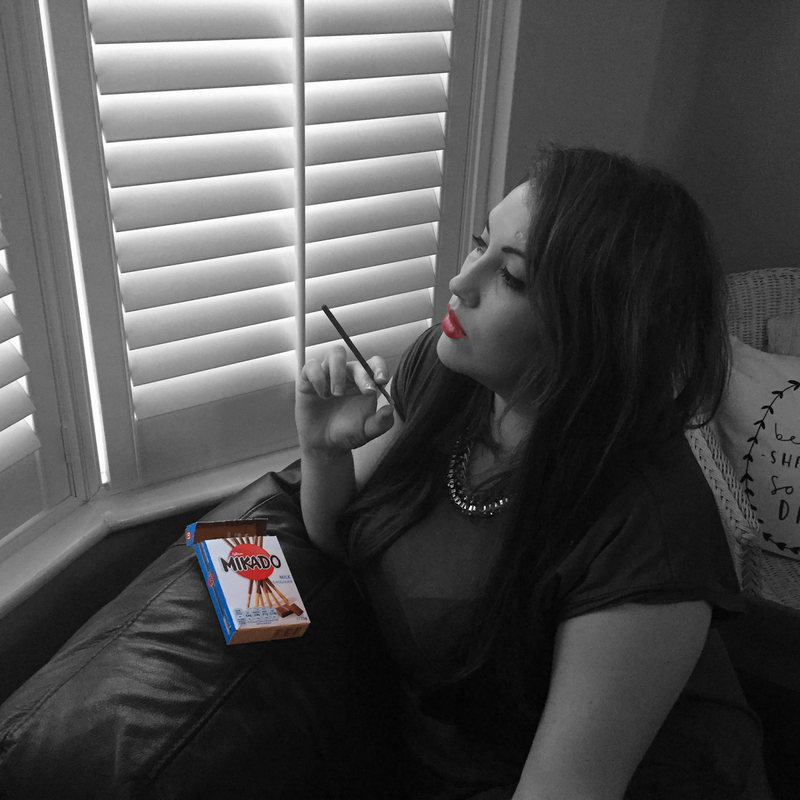 Also when I eat a Mikado, in my mind I am a femme fatale smoking a long elegant cocktail cigarette. 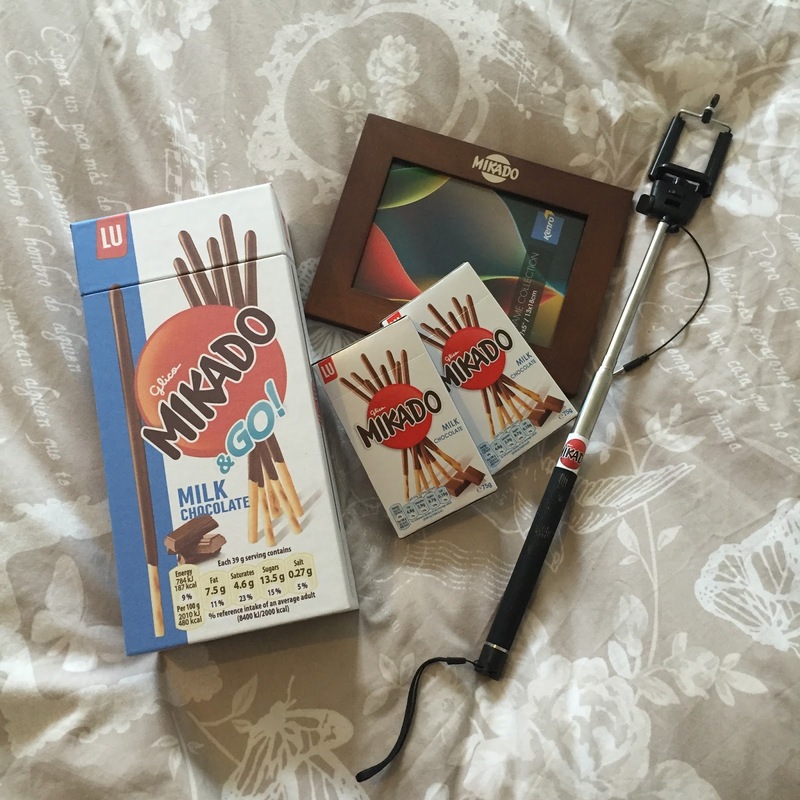 How do you eat your Mikado sticks? Previous Post LIFESTYLE | London Ice Bar – BRRRR It’s cold in here..